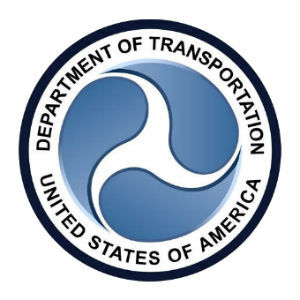 OST provides systems engineering, implementation, and enhancement to seven of the US Department of Transportation spectrum systems, led by the Automated Frequency Manager (AFM) system. Spectrum systems are used for management of the radio spectrum, which is critical to the day-to-day operations of U.S. civil and military aviation in the National Airspace System (NAS). The customer’s vision is to be an international leader in air traffic safety and increase aviation safety overall, as well as to create a workplace of integrity, innovation, and sustainability. OST’s support has enabled them to do just that by transforming their systems, services, and associated performance, in spite of having a very lean budget. In addition to meeting the contractual requirements, OST proposed and supported major enhancements to the system and several other sub-systems in order to move to the next level of safety while creating the Spectrum Engineering Services workplace for the future. Finally, it brought the program up to the CMMI Level 5 standard, incorporating predictive statistical models and other advanced statistical techniques to significantly increase team productivity without compromising quality. In 2004, OST took over the AFM application re-write activity, which was three years behind schedule and still in the development stage. OST reversed engineered the older DOS-based application and the failed code to elicit and implement requirements for the AFM product. It took on the responsibility of deploying a working module and introducing a systematic process of enhancements, modernization, consolidation, and integration with other systems. Once the application was operational, OST added new engineering models, a major graphics technology upgrade, and other product integration enhancements. Implementing an innovative Automatic Call Director(ACD) system, enabling end-users to reach help desk members 24 X 7 so issues are resolved faster. Through automation and the implementation of web-based applications using the latest technologies, OST updated numerous applications and subsystems within the program. It modernized several legacy systems, addressing both technology refresh efforts and major software application enhancements that have substantially increased system performance, scalability, and functionalities that address current Spectrum requirements. With the rollout of an executive dashboard and the adoption of metrics-based decision making, the agency improved its service to its customer base. By applying CMMI Level 5 and other industry best practices, OST has significantly improved its processes to deliver high-quality products in less time, resulting in increased customer satisfaction.